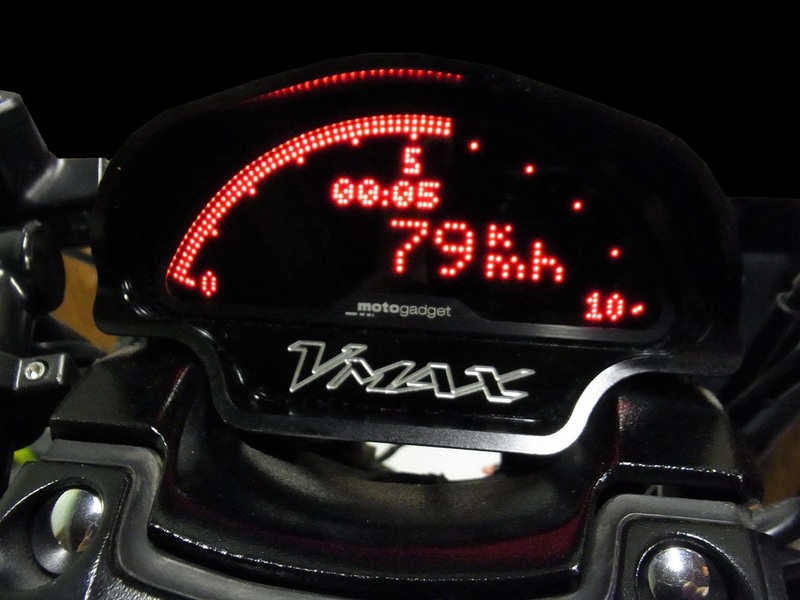 Motoscope Pro Meter for Yamaha VMX1700 "V-Max"
The Motoscope Pro Meter with Billet Aluminum Housing is a replacement for the OEM Tachometer/Speedometer Assembly. This Add-On/Modification requires extensive wiring modifications and is not recommended for everyone. Installer should be relatively familiar with the GEN2's parts/components and also have at least a basic knowledge of electronics, prior to attempting this install. We have attempted to make the installation easier, by making several documents in addition to the ones provided by the Manufacturer (Motogadget) and Vendor (Cannes Moto Services). This install was with the same Motoscope Pro Meter with Billet Aluminum Housing, along with a Motogadget "Mini" and a Motogadget "SureShift". This Add-On/Modification requires even more, extensive wiring modifications and definitely NOT recommended for everyone. Installer should be very familiar with the GEN2's parts/components and also have a very good knowledge of electronics, prior to attempting this install. The Motoscope Pro Meter Kit is sold by Cannes Moto Services. The Motoscope Pro Meter itself is manufactured by Motogadget, Inc.